Nuclear Power Generation - Tavares Group Consulting Inc. The proactive management of sustainability is key to long-term success. By: Kirsi McLandress, Sustainability Associate – Tavares Group Consulting Inc.
Bruce Power is the world’s largest nuclear operating site with the ability to generate 6,300 megawatts and is Ontario’s largest independent power generator, currently providing over 30% of Ontario’s electricity supply. 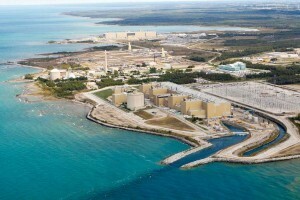 Bruce Power’s facility includes two nuclear power generation stations, each containing 4 CANDU reactors. The facility, located in Tiverton Ontario on the shores of Lake Huron, directly employs 4,000 people. Safety first, coupled with environmental stewardship, community involvement and investment have been key priorities for the facility. In t he fall of 2013, Bruce Power became one of the Sustainability Toolkit’s first Toolkit Ambassadors. 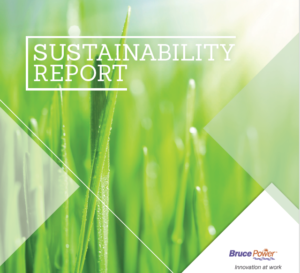 As explained by Emily Johnston, Environmental and Sustainability – Corporate Affairs at Bruce Power, the main way in which the Toolkit has been used at Bruce Power has been to “focus our Corporate Sustainability planning process, and develop our first Sustainability Report.” In fact, in the summer of 2014 Bruce Power released its first Sustainability Report, using the Sustainability Toolkit’s four sustainability criteria to organize each section of its report. When asked how the Toolkit has helped Bruce Power’s sustainability program, the results, although still in a development phase, are significant. The Sustainability Toolkit Team is excited to continue working with Bruce Power in order to help them meet their sustainability goals.